Washington’s pursuit of hegemony has fallen short of its goal, causing havoc and collapse of states, Bashar Assad said in a new interview. Syria’s head believes that US meddling in the conflict aims to “save what is left” from its fading global preeminence. 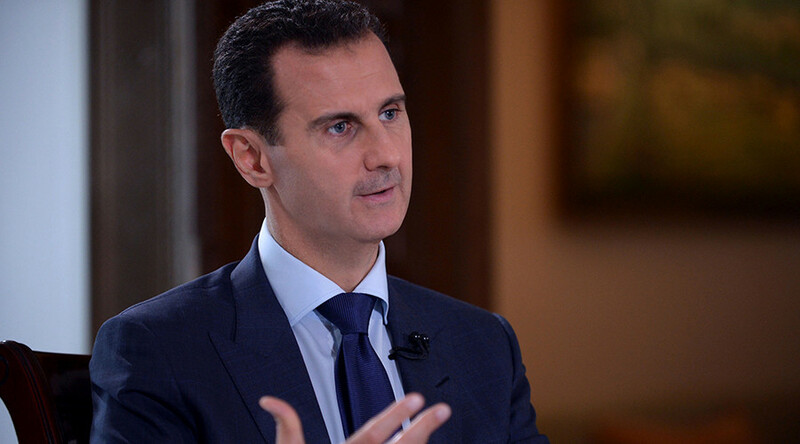 In an interview to Iranian magazine Tehran Foreign Policy Studies Quarterly on Wednesday, the Syrian president argued that the US resort to force every time it fears a challenge to its clout and ability to control the international agenda unilaterally. 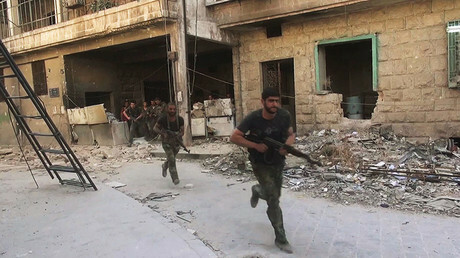 “United States builds its position on hegemony over other states and it has been the case since they took advantage of the USSR collapse and established unilateral control over this world up to this day,” the president said, adding that the real motive behind US military interventions into foreign countries is to coerce them to submit to American authority, as in the case with Syria. “Today, the United States are waging wars with the only goal to cement its project of total control by launching attack on everyone, who opposes its dominance,” Assad said, noting that Washington “rejects” and “refuses to acknowledge” the nascent balance of powers in the world affairs and the rise of other states. Assad believes that while Washington has been losing its grip, it cannot accept the fact it’s not being in charge of the global affairs, and tries to reaffirm, if not to strengthen, its positions in the world. “What is happening in Syria is an attempt to save what is left from the American and western hegemony in the world,” Assad said. Washington spares no means to inflict losses on its ideological rivals, including “terrorism”, psychological and economical methods, Assad said. However, he thinks that a biased coverage of the conflict by mainstream media delivers one of the most significant blows. The Syrian president does not believe that that the US foreign policy may change its track in the foreseeable future, as wars are in the interest of American powerful lobby groups, in particular, arms and oil lobbies. “There is no point in analyzing US politics on the basis of common sense, as it is guided by the factional interests,” Assad said. — RT (@RT_com) 2 октября 2016 г. Earlier, Moscow raised concerns about the possible impact of the US trying to ouster the Syrian president by means of a direct military aggression, with Russian Foreign Ministry spokesperson Maria Zakharova warning it would lead to a “terrible, tectonic shift not only in the country, but in the entire region”. The assertion that Russia has been the main contributor to the Syrian anti-terror campaign and did not let it slip into the hands of Islamic State (IS, formerly ISIS/ISIL) militants was rejected by Mark Toner, State Department’s spokesperson in a briefing on Tuesday. Washington has been downplaying Russia’s role in helping to put an end to the Syrian bloodshed, even claiming that its bombing campaigns have been largely targeting the opposition forces instead of IS. Despite the breakdown of US-Russian cooperation on Syria, Washington indicated it is not going to inflame the standoff by striking Syrian government targets as it is concerned it would put Russian and US forces on the brink of military confrontation. “The president [Barack Obama], as he thinks through those options, is going to think very carefully about the consequences of taking different actions,” White House spokesman John Earnest said on Tuesday. US-led coalition carried out airstrike on Syrian government troops in Deir ez-Zoir on September 19, killing 62 servicemen and injuring over hundred. In the wake of the attack, President Assad announced the end of the latest US-Russia brokered ceasefire in Syria.